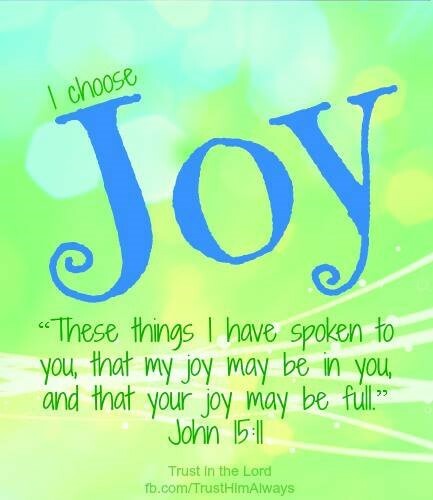 A message of God: What fear or joy do you have in your life, and what food? A message of God with the themes: ♡Happiness in Yeshua HaMashiach, Jesus Christ… ♡and a mirror image and… ♡willing to be a reflection of Him and… ♡also to strive to grow more! Hello, welcome! On October 22nd, 2014, an angel of the Lord, a messenger angel of God, brought on word for word the following message of God to end-time Prophet Benjamin Cousijnsen. Shalom! I greet you in the wonderful name of Yeshua HaMashiach, Jesus Christ. Verily, kadosh, kadosh, kadosh, holy, holy, holy is He, your Rabbouni, your Master. Come, where is your joy? Praise Adonai, El Elohím, your King of kings! Baruch Haba B’Shem Adonai! Verily, there is joy in heaven, and you as a citizen of heaven may carry it out. Verily, my name is Meon. Even Prophet Benjamin Cousijnsen doesn’t do this. Verily, give your worship and honor and joy to whom it belongs. Though I am a messenger angel of God, I refer you to Him to whom it only belongs: Yeshua HaMashiach, Jesus Christ of Nazareth. Galatians 1, verse 6 to 10 Read this aloud: I marvel that you are so quickly deserting him who called you in the grace of Christ to a different gospel; and there isn’t another gospel. Only there are some who trouble you, and want to pervert the Good News of Christ. But even though we, or an angel from heaven, should preach to you any gospel other than that which we preached to you, let him be cursed. As we have said before, so I now say again: if any man preaches to you any gospel other than that which you received, let him be cursed. For am I now seeking the favor of men, or of God? Or am I striving to please men? For if I were still pleasing men, I wouldn’t be a servant of Christ. 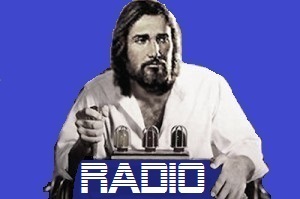 Verily, what gospel are you, who’re listening, following? The gospel of box thinkers, who can but only tolerate soft food and find everything bad, and are just not able to grow spiritually, because of their way of thinking, and just stay on the porridge? Is this the gospel? What fear or joy do you have in your life, and what food? It is surprising Yeshua HaMashiach, Jesus Christ, that many keep the doors of their hearts closed, when the Holy Spirit wants to give more. The gospel is more! Jeremiah 29, verse 11 to 13 Read this aloud: For I know the thoughts that I think toward you, says the LORD, thoughts of peace, and not of evil, to give you hope in your latter end. You shall call on me, and you shall go and pray to me, and I will listen to you. You shall seek me, and find me, when you shall search for me with all your heart. Verily, fear doesn’t belong to you! Not even for the messages, received through Prophet Benjamin Cousijnsen, which are coming 100% from God. Read aloud: 1 Corinthians 3, verse 1 to 9 Here it is written: Brothers, I couldn’t speak to you as to spiritual, but as to fleshly, as to babies in Christ. I fed you with milk, not with meat; for you weren’t yet ready. Indeed, not even now are you ready, for you are still fleshly. For insofar as there is jealousy, strife, and factions among you, aren’t you fleshly, and don’t you walk in the ways of men? For when one says, “I follow Paul,” and another, “I follow Apollos,” aren’t you fleshly? Who then is Apollos, and who is Paul, but servants through whom you believed; and each as the Lord gave to him? I planted. Apollos watered. But God gave the increase. So then neither he who plants is anything, nor he who waters, but God who gives the increase. Now he who plants and he who waters are the same, but each will receive his own reward according to his own labor. For we are God’s fellow workers. You are God’s farming, God’s building. Verily, there is so much division! One says, “I am of the Church ‘End times'”. Oh yeah? “I of the Church ‘Rapture'” Even their faces look like this, as if the world has already come to an end! Is this the gospel? Verily, if you want to grow, then don’t be conformed to fleshly thinking and to the world! Romans 2, verse 8 to 13 Read aloud: But to those who are self-seeking, and don’t obey the truth, but obey unrighteousness, will be wrath and indignation, oppression and anguish, on every soul of man who works evil, to the Jew first, and also to the Greek. But glory, honor, and peace go to every man who works good, to the Jew first, and also to the Greek. For there is no partiality with God. For as many as have sinned without law will also perish without the law. As many as have sinned under the law will be judged by the law. For it isn’t the hearers of the law who are righteous before God, but the doers of the law will be justified. Verily, carry out what a born again Christian ought to carry out. And go stand once before the mirror, because they see you like that! Be happy in Yeshua HaMashiach, Jesus Christ, and be a reflection, a mirror image of Yeshua HaMashiach, Jesus Christ. And strive to grow more! John 3, verse 16 and verse 17 Read this aloud: For God so loved the world, that he gave his one and only Son, that whoever believes in him should not perish, but have eternal life. For God didn’t send his Son into the world to judge the world, but that the world should be saved through him. The messenger angel of God spoke further, I’m going now, Ruacha, Yeshu, Shalom! and disappeared. ⟵Rebelasyon mahitungod sa Ebola ug uban pa!